343 Industries have been hard at work on developing the 6th mainline entry in the long-running popular FPS Halo series called Halo Infinite. Revealed via a live stream, 343 Industries announced some of the key returning and new features that will be gracing Halo Infinite. Still pretty early in the development, Halo Infinite will be running on a new engine which 343 Industries are hard at work on optimising. Thus expect the game to not launch before the fall of 2020 at least. Moving on, Halo Infinite will feature a returning four-player co-op/ split-screen mode which is great news for the fans of the genre. Split screen games have completely vanished from the industry, with the last being " A Way Out". It's good to see developers bringing the retro feel to their games, especially seeing it has had in this the previously released Halo games. Armor customization has played a major role in the previously released Halo games, especially the one in Halo Reach and 343 Industries have confirmed that Halo Infinite will feature a similar customisation system, inspired by the one in Reach. This just shows how much the studio is willing to listen to the fan base it has accumulated over the years. Indeed Halo 5 wasn't as successful as the previous entries in the series and 343 confirmed that the game was rushed in one way, its good to see that they are taking time with this one. Hopefully, Microsoft won't interfere with their ambitious vision this time. Speaking of Halo 5, 343 Industries has confirmed that post-launch content for the game has been pretty much done as the team focuses all of its energy on the next game. It's a good thing as Halo 5 has been out for four years now and I don't believe much people dwell into its multiplayer mode anymore. Anyways, for all the tidbits that were revealed during the live stream, I'll leave the details in the next page which Reddit user Wojak confirmed. 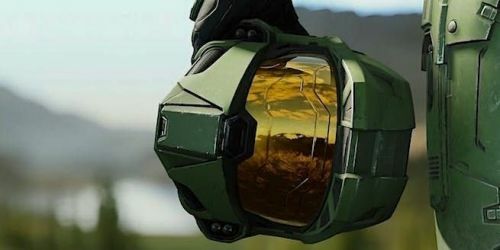 Halo Infinite: Could it be the most expensive game ever made?